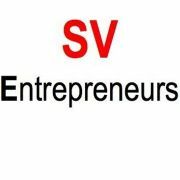 SVE is looking for great startups in the health tech sector. If you are a health tech entrepreneur with an innovative technology or business model, we’re interested in hearing from you. Please apply to participate in this event sponsored by F50, which recently launched the Future 50 HealthTech initiative. Please complete your application by August 25 to be considered for this event. Selected companies will be presented to a group of qualified investors on the afternoon of August 31.